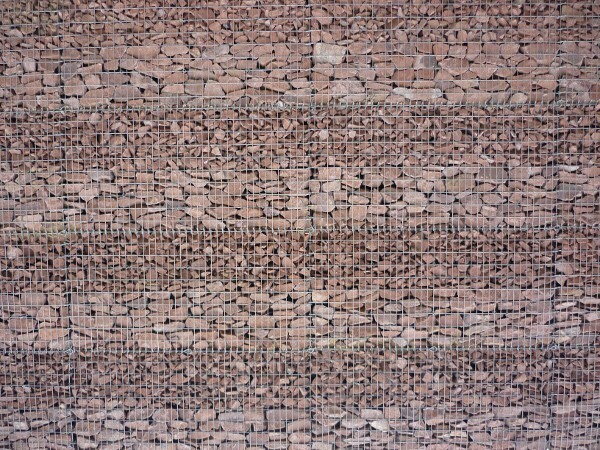 Gabions combine the advantages of reinforced concrete and natural stone walls. Gabions are inexpensive The material costs are relatively low. The substructure is also easy to produce. 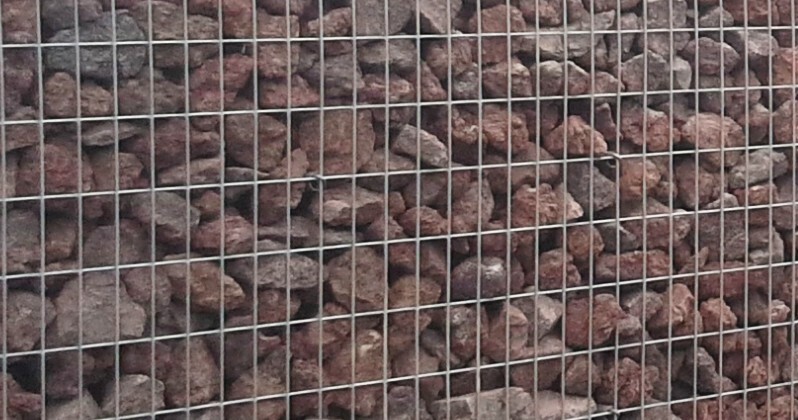 Gabions are universally applicable The numerous basket and filling options open up a variety of possible applications, even in the most difficult terrain. 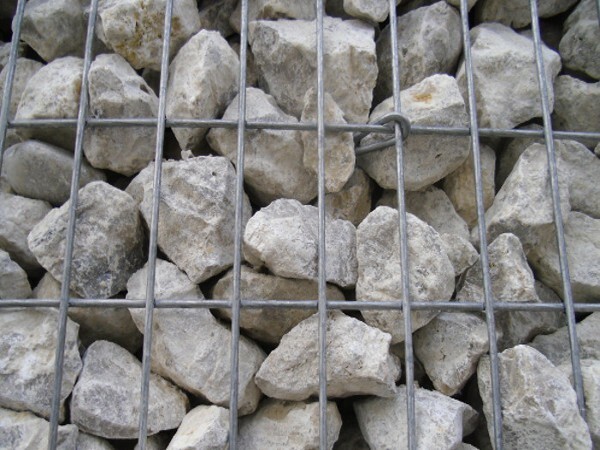 Gabions are sturdy Stable and durable, gabions resist extreme forces and storms. Gabions are ecologically valuable The natural building material blends into its environment and can provide new habitat to numerous plant and animal species. Gabions are individual All shapes and heights are conceivable. Various stratified or poured stone types increase the scope of design. Gabions are permeable The loose rock allows seepage and rainwater to flow through, so that no dammed water can endanger the stability. 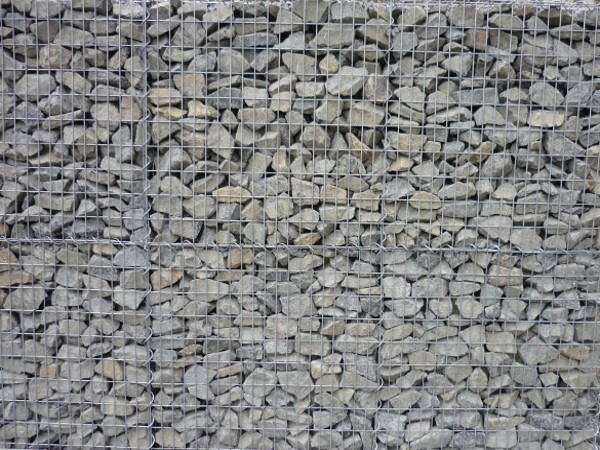 What types of gabions are there? The main feature of a spiral gabion is the connecting element of the spiral. 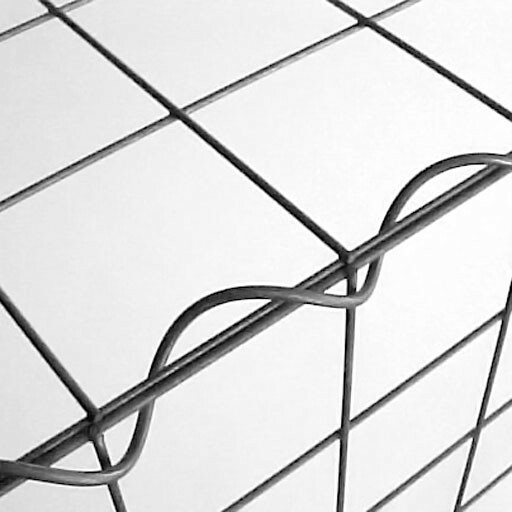 They are easy to use because the spirals can be easily and quickly screwed into the mesh mats. 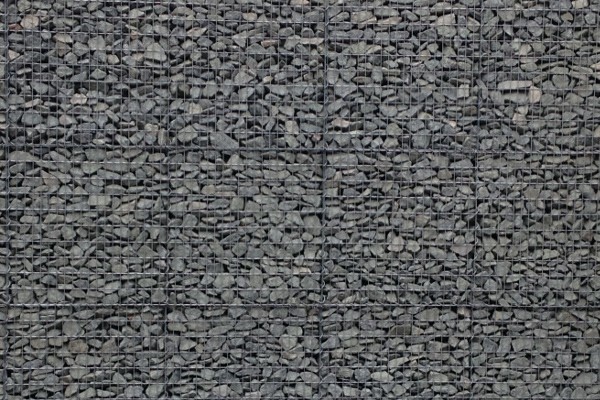 Eyelet gabions have an even surface due to their connection with a plug rod which is guided through the welded eyelets. As a rule, eye gabions are filled by the customer just like spiral gabions. 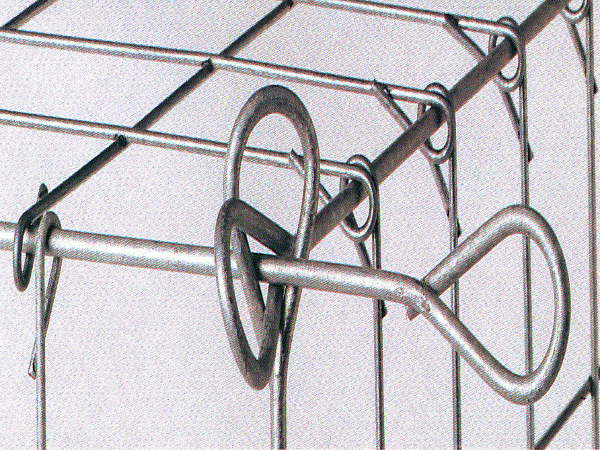 The S-Gabione protects from injury by no outward wire ends. 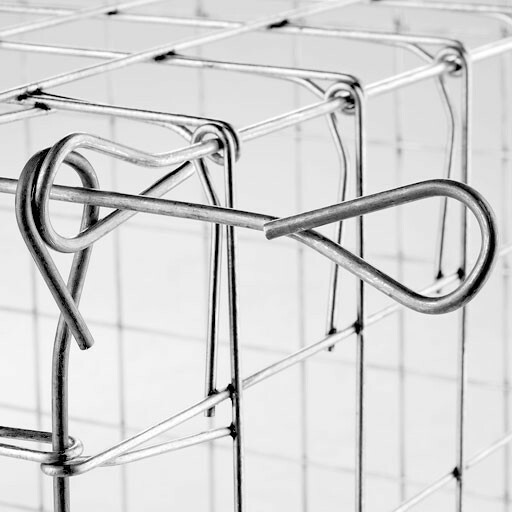 The S-Gabione, like the proven Eyelet Gabions, has snap-fit clasps that connect the mesh mats together. Here you have the latest closure type, coupled with the greatest possible stability and injury protection. Granites are massive and relatively coarse crystalline magmatic deep rocks rich in quartz and feldspars, but also contain dark minerals such as mica. Granite corresponds in its chemical and mineralogical composition to volcanic rhyolite. Granite is usually massive and can be divided into blocks by horizontal and vertical fissures. Granite is rarely platy near the upper boundary of the intrusion. Granites are formed by the solidification of molten rock (magma) within the earth's crust, usually at a depth of more than two kilometres below the earth's surface. In contrast there are volcanic rocks, where the magma penetrates to the earth's surface. In general, granite is medium to coarse-grained. It has a homogeneous mineral distribution with an often directionless texture and the resulting relatively uniform appearance. The structure of granite is characterized by an immediate grain structure, the size of the crystals usually varies between one and several centimeters. Dolomite, scientifically dolomite stone, is a carbonate rock, which consists of at least 90 percent of the mineral dolomite. If the dolomite content is lower, it is a dolomitic limestone. Dolomite stones are somewhat harder and much more brittle than chemically related limestone. Since the mineral is very strongly birefringent, the rocks appear light-coloured and not translucent, i.e. opaque, similar to limestones. A first indication of dolomite results from a splintery rock surface, at least if it has not been treated. This absence of smooth washed surfaces is a contrast to limestone. Dolomite rocks were formed either by the primary precipitation of dolomite or by the secondary dolomitisation of limestone sludge. Recent research on recent examples of lagoons in Brazil has shown the importance of sulphur bacteria and rot for dolomite genesis. Dolomite stone is ideally white, often ivory, light grey, greyish yellow or green grey. Basalt is a basic (low silicic acid) effusive rock. It consists mainly of a mixture of iron and magnesium silicates with olivine and pyroxene as well as calcium-rich feldspar. Basalt is the volcanic equivalent of gabbro, which has the same chemical composition. Basalt is formed when thin, low-silica magma emerges from the earth's surface and cools relatively quickly to basalt lava. Basalt is usually dark grey to black. It consists for the most part of a fine-grained ground mass. Coarser sprinklings visible to the naked eye are relatively rare, but may occur more frequently in some basalt varieties. The thin section of the rock produced shows a normal quartz porphyry structure under the polarization microscope consisting of a fine-grained matrix and sprinklings of the usual two feldspars and quartz. The matrix is not uniform, but crystallized somewhat coarser in an older part (but still fine-grained) and somewhat finer in a younger part with flow control. Quartz porphyry is eruptive effusion or magma stone. A rock that reached the earth's surface through a volcanic eruption and then solidified. When the lava reaches the earth's surface, porphyry is formed. Quartz porphyry is red to dark red, partly brownish, rarely grey. Limestone consists mainly of the minerals calcite and aragonite, two crystallisation forms of calcium carbonate. 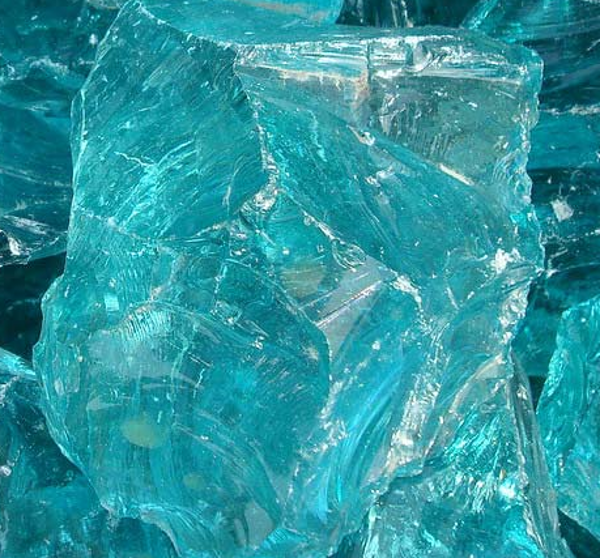 Other minerals occur in more or less varying proportions. Limestone can belong to several types within the sedimentary rocks. However, the majority of limestones are of biogenic origin, i.e. they were formed and deposited by living organisms. In most cases limestones have a light, grey to greyish yellow colour. By admixtures of other minerals (for example iron compounds) also stronger, above all red colors occur quite frequently. Bituminous limestones can also be dark grey to black in colour. Lava is used as a trade name in the same sense as foam lava and lava slag. It is a volcanic ejection product with bubble-shaped pores and a rough surface. The reddish-brown and predominantly glassy solidified dark brown sweat slags are obtained in open-cast mining, whereby the loose slag layers are directly conveyed and solidified patients are dissolved by means of blasting. The lava is crushed and classified according to grain size. Lava grains are porous, light, rough and pressure resistant. Glass chunks are a noble garden accessory that can be used for any object design. In contrast to natural stones, exclusive glass chunks can be used to set impressive light accents in private gardens, parks and public gardens. An attractive appearance of the filling material can be achieved by alternating layers of natural stone and glass chunks or by creative patterns in combination with LED lighting. Light gabions can also be optionally combined with water, for example as a fountain with integrated water chute or a small waterfall. In the dark, the light gabions unfold, a fascinating play of light that is difficult to escape. Light gabions are thought through down to the last detail and convince not only with their attractive appearance but also with their high-quality materials. It is a volcanic ejection product with bubble-shaped pores and a rough surface. The reddish-brown and predominantly glassy solidified dark brown sweat slags are extracted in open-cast mining, whereby the loose slag layers are directly conveyed and solidified patients are dissolved with the aid of explosions. The lava is crushed and classified according to grain size. © 2019 Gabionenbau HS GmbH - All rights reserved.